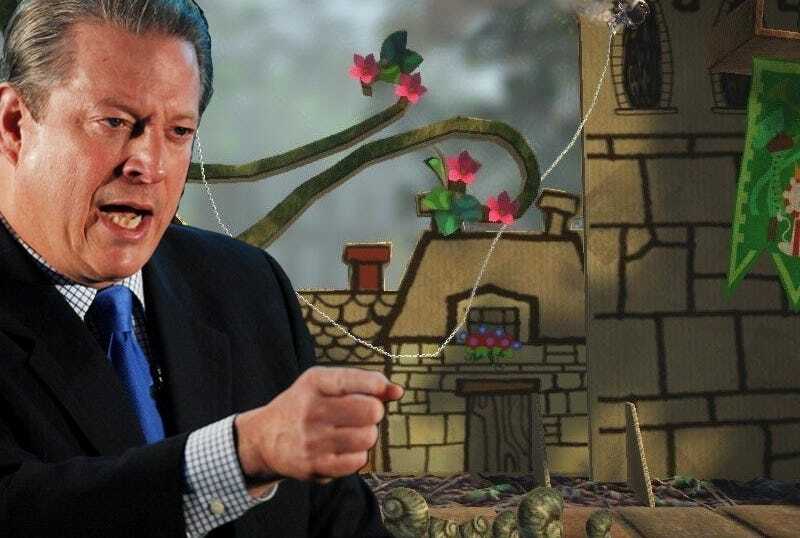 Former vice president Al Gore addresses the Games for Change summit today, kicking off three days of discussion about making games for social impact. Gore is co-founder and chairman of Generation Investment Management and co-founder and chairman of Current TV. He also did that whole Vice President of the United States thing. While it isn't clear what Gore will be talking about during his keynote, it wouldn't be surprising if he drifted into a discussion of climate protection, a subject he's devoted much of his post-vice presidency championing. Our own Stephen Totilo is on-site covering Gore's talk. Follow us and it live below. The rest of three-day summit will be livestreamed starting tomorrow. We're told Gore's talk won't be.